Xiaomi sent out press invites to the media a couple of days ago for its product launch event scheduled on March 20 in India. While the company hasn’t yet officially announced which device will be launched on March 20, it certainly has announced that it will be available exclusively on Amazon India. Xiaomi India in a tweet has confirmed that the upcoming Redmi device will be available exclusively on Amazon India. 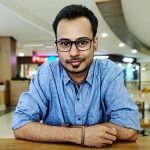 Besides, Amazon India too has set up a dedicated page which confirms that it will exclusively sell the Redmi device that will be launched on March 20. 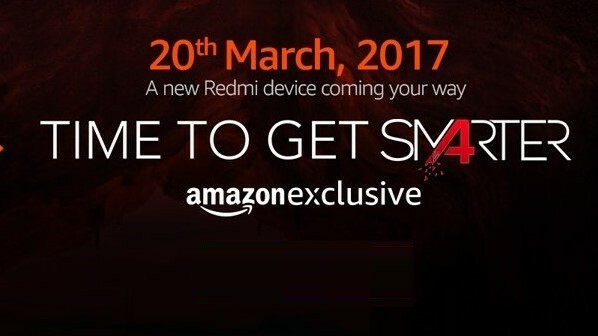 Having said that, neither Xiaomi nor Amazon India have revealed the device which will be launched, but, going by the images that have been shared on social media which say “Time To Get Smarter” along with an emphasis on A which also looks like 4, it’s very likely that Xiaomi will launch the Redmi 4A on March 20. The Redmi 4A was announced last November in China. It’s powered by Qualcomm’s Snapdragon 425 SoC which is paired with 2 GB RAM and runs Android 6.0 Marshmallow. It sports a 5-inch HD display and keeping the lights on is a 3030 mAh battery. It has a 13 MP camera at the back and features a 5 MP camera on the front. The Redmi 4A is priced at ¥499 (around $70) in China so we expect it to be priced at somewhere around the ₹5000 – ₹5500 mark in India. Apart from the Redmi 4A, we are also expecting Xiaomi to launch the Redmi 4 and Redmi 4X in India on March 20. Well, we don’t have to wait much to know which device will be launched as we are just three days away from the launch event.